This famously impregnable fort was built in 1459. Inside the rugged fort, you’ll find delicate latticed windows and pierced sandstone screens. The palaces – Moti Mahal (Pearl Palace), Phool Mahal (Flower Palace) and Sheesh Mahal (Glass Palace) – and other apartments are exquisitely decorated; their ceilings, walls and floors are covered with murals, mirror work and gilt. The palace museum has exquisite rooms filled with lavish royal elephant carriages, palanquins, thrones and paintings. From the ramparts there are excellent views of the city. The splendid Amber Fort rests on the edge of Jaipur. Surrounded by ramparts, this marvellous fortress is perched on a hill near Maota Lake. Construction began in 1592 and carried on over a period of 125 years. Although the fort is in ruins, the interior palaces, gardens and temples retain much of their pristine beauty. Both the art and architecture combine Rajput and Mughal influences in felicitous ways. Rising out of the sands of the Thar Desert, the awesome contours of its 99 bastions softened by the golden hue of the stone. 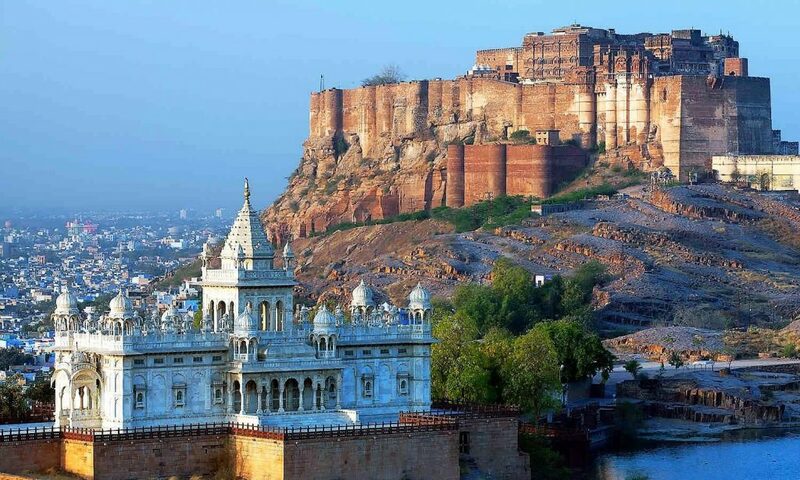 Built in 1156 by Maharawal Jaisal, and added to by his successors, this citadel stands on the peak of hill. 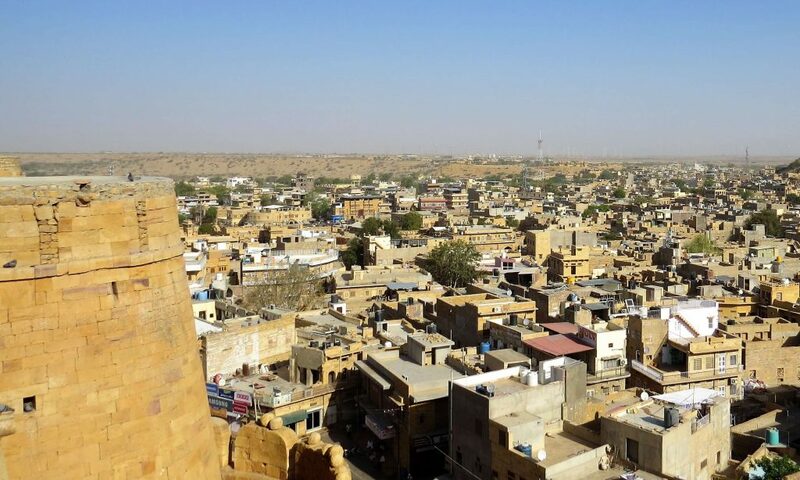 In medieval times, Jaisalmer’s entire population lived within the fort and even now, thousands of people reside here, making it India’s only living fort. Royal palaces, a cluster of Jain temples, mansions and shops are all contained within its walls. 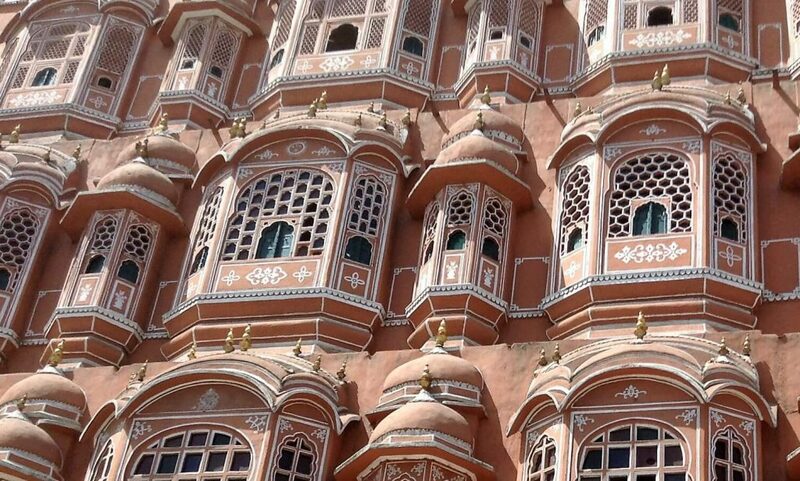 The famed Hawa Mahal (Palace of Winds) was built in 1799, so that the women of the court could discreetly take some air and watch the activity on the street below. This curious five-story structure is just one room wide, so the wind easily passes through the building and cools the interior. The building façade has a delicate honeycomb design with close to 1,000 windows. This 250-year-old white marble palace – now a luxury hotel – floats like a mirage in the middle of Lake Pichola and looks dazzling from the shore. Reached by a short boat ride, it was built as a summer retreat by Maharana Jagjit Singh who ruled Jaipur in the 17th century. 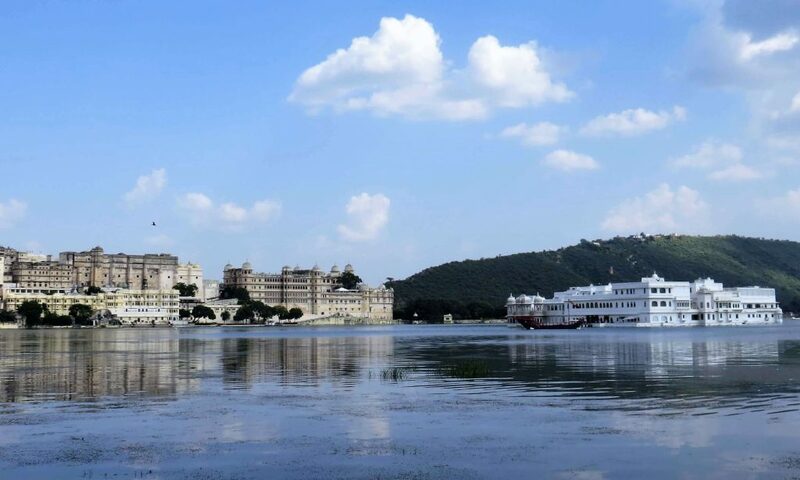 To end your time in Rajasthan on a truly special note, stay here at the Lake Palace – it’s one of the world’s most famous luxury hotels, with an undeniable sense of location and a fairy-tale like experience. 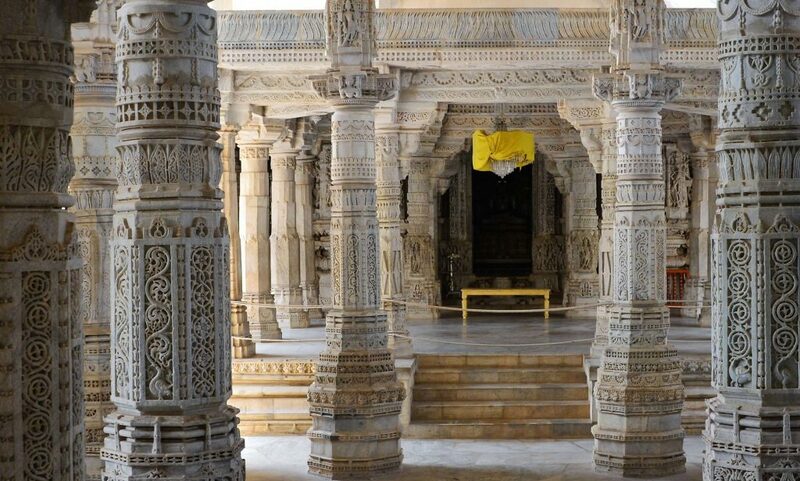 This stunning 15th century temple is located in Ranakpur, halfway between Jodhpur and Udaipur. One of the five holiest places for India’s Jains, the three-story temple contains 27 halls supported by 1,444 elaborately carved pillars – no two carvings are alike. The view of the white-marble complex rising up from the fertile plain is awe-inspiring – the relief work on the columns is some of the best in all of India. 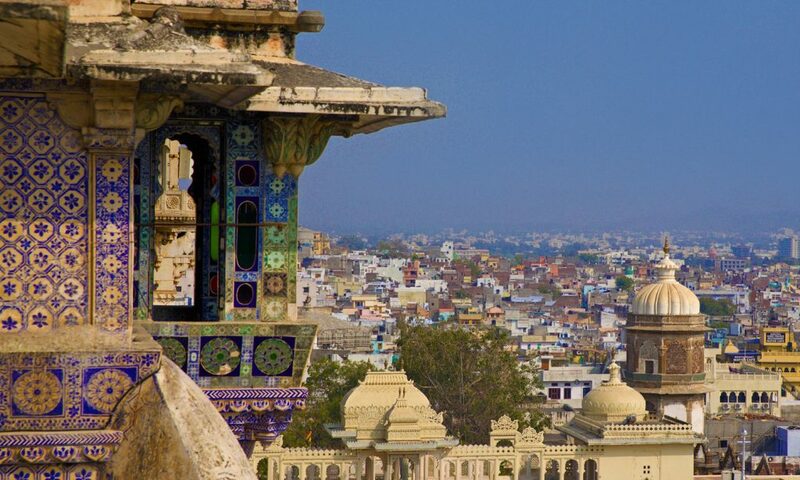 Udaipur’s sprawling City Palace – the largest in Rajasthan – stands on a ridge overlooking the lake. Begun by Udai Singh and extended by subsequent maharanas, the sand-colour City Palace rises five storeys tall, with a series of balconies. Cupolas crown its octagonal towers, which are connected by a maze of narrow passageways. The rooms inside the City Palace Museum contain decorative art: beautiful paintings, colourful enamel, inlay glass-work and antique furniture. Okay, it’s not technically in Rajasthan, but rather in the neighbouring state of Uttar Pradesh. Described as an ‘elegy in marble’, the Taj Mahal is an epic monument to Emperor Shah Jahan’s beloved wife. Seeing the magnificent structure in person reveals the minute details of its decoration and its construction, and the incredible symmetry of the elements. 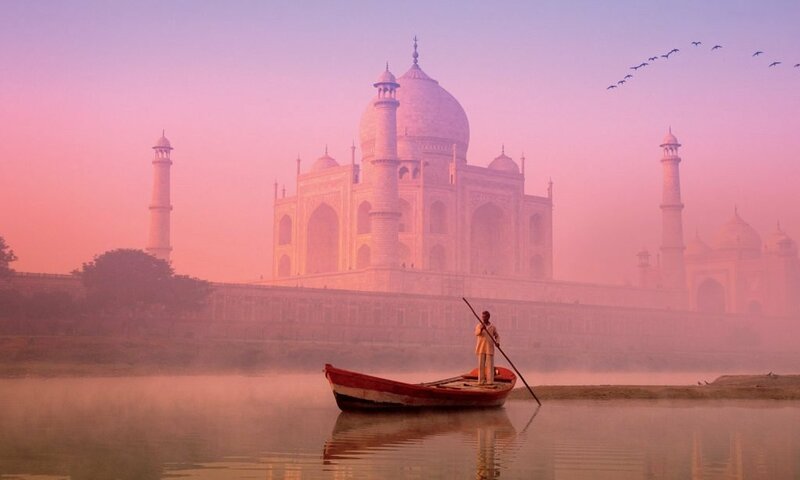 The Taj Mahal is one of the most recognizable, most reproduced images in the world, and the tale of love and loss that sparked its creation is almost as incredible as the monument’s beauty. Up close the intricately crafted and colourful detail of the building is apparent, but from far away, the magnificent structure appears all white – though depending on the sun and the time of day it takes on different hues. At sunrise it takes on a pearlescent pinkish hue; at sunset it’s a lemon yellow, then orange. Once the sun goes down, the marble is pure white against a black sky. 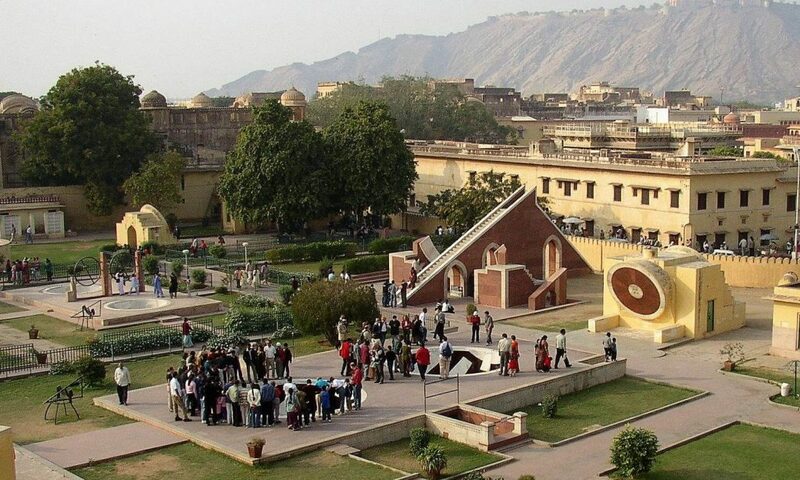 Neighbouring Jaipur’s City Palace is the Jantar Mantar observatory: Built between 1728 and 1734, some of the instruments are still used to forecast how hot the summer months will be, the expected date of arrival, duration and intensity of the monsoon, and the possibility of floods and famine. 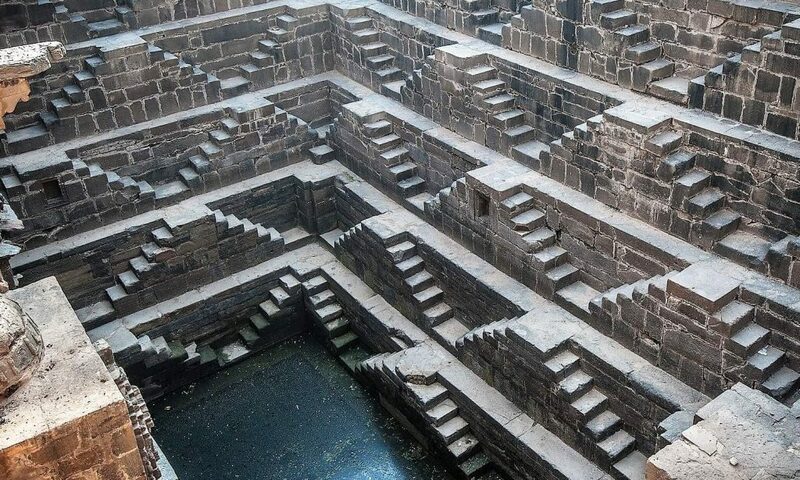 About 100km from Jaipur, the remote village of Abhaneri, surrounded by wheat fields, is the unlikely location for one of Rajasthan’s most awe-inspiring baoris (stepwells). An incredible geometric sight, Chand Baori has around 11 visible levels of zigzagging steps and is 20m deep. The well, the crumbling palace and the Harshat Mata Temple are believed to have been built by King Chand, ruler of Abhaneri and a Rajput from the Chahamana dynasty. Interestingly, it featured in the Dark Knight Rises (2012) as Batman’s prison. Any of these monuments can be included in a private tour of Rajasthan with us. As experts in tailor-made tours of this particular region, we’d be an ideal match to assist with your arrangements. We’ve visited first-hand all the monuments, destinations and hotels we recommend, so you can be assured of a comfortable and memorable experience. Please do get in touch if you’d like to begin planning your private tour of Rajasthan with Indian Excursions, or, take a nosy at our sample itineraries for inspiration.